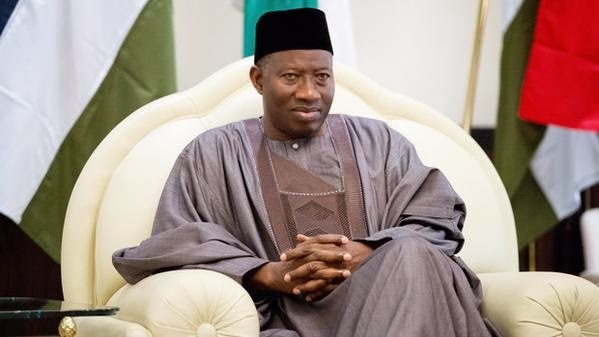 President Goodluck Jonathan will be stepping down as Nigeria’s number one citizen on May 29 – that is less than 72 hours from today. But the outgoing President will be leaving behind a country in deep economic and social crises. Not that Nigerians have had any moment of respite in the lacklustre years that Jonathan presided over the affairs of our country. If anything, however, the crises of his final days in power and his characteristic “I don’t give a damn” response have only confirmed that Nigerians did not make a mistake when they rejected his re-election bid in the 2015 presidential election. As our country grapples with the debilitating fuel crisis, power shortage and huge debt burden, nothing else symbolises the lethargic years of Jonathan’s presidency than his response to the crisis of his last days in office. His unnerving silence as Nigerians face one of the worst moments of their lives as citizens is typical of his attitude in the six years he has been in power. Yet, his supporters have hailed him as a hero. Pray! What is heroic in a leader who leaves his people to bear the burden of his administration’s incompetence? That the President has refused to address the lingering and asphyxiating fuel scarcity more than a month since it began demonstrates the disdain he has always harboured for Nigerians. That he has kept mute as citizens groan under the weight of the crisis is not a surprise. It fits into the character of this outgoing President to fiddle like the Roman Emperor while his “Rome” burns. Nigerians are just glad that President Jonathan will quit power in a few hours from now. It is indeed a welcome relief. Where does one start to catalogue the failures of a President who has never placed priority on the welfare of the people? For over a month that the fuel crisis has crippled the entire country, the President has not considered it necessary to address Nigerians. What we have seen is that old tendency to abdicate his responsibilities to the Finance Minister and Coordinating Minister of the Economy, Dr Ngozi Okonjo-Iweala. But Okonjo-Iweala has done nothing but engage in a blame game and unnecessary confrontations. Where does the buck stop? As the economy grinds to a halt and the President continues to hire and fire even in the twilight of his administration, somebody once remarked that he did not expect the President to “give a damn now than he ever cared.” It becomes worse now he is leaving power. While I consider it callous and myopic of any leader to turn a blind eye to the sufferings of his people, I will not put it past the President to behave in a way that portrays him as insensitive. Is it with corruption, Boko Haram, or the Chibok girls’ kidnap? One of the insensitivities of President Jonathan is his approach to corruption. The President condoned it – he even defended it. What do we call that? Truth be told, the unbridled corruption and recklessness of his administration is the reason why Nigerians are suffering today. I have recently been following the online argument by the so-called “Jonathanians” who argue that Nigerians deserve to suffer fuel scarcity because they blocked the removal of subsidy in 2012 by the President. They are blaming #OccupyNigeria protesters. It is myopic reasoning like this that has allowed the Jonathan administration to get away with “blue murder”. They miss the point. While it is true that government cannot continue to subsidise fuel importation through subsidy scam, the scheme also became a drain pipe to siphon trillions of funds under Jonathan. Subsidy claims became riddled with unbridled corruption. Why is that for the first time, subsidy payment rose to trillions of naira under Jonathan? Why were the indicted subsidy thieves not prosecuted successively? These questions have still not been answered since 2012. The subsidy issue became a debacle because the outgoing government was not transparent in its dealings. As the Jonathan administration trudges to its end, the entire country is on a lockdown. Since his loss at the election, one has noticed the absence of leadership. The country seems to be on auto-pilot. Well, some have argued that it has been for six years. Every aspect of governance has been put on hold expect for the last minute hiring and firing which are being done for obvious reasons. I have also heard insinuations that the incoming government is being set up for failure. I still will not put the allegations past this administration. Only recently Nigerians were told that Nigeria owes a debt of $60bn! What exactly the money was used for nobody knows. It has become glaring that the profligate Jonathan administration has been borrowing money to service the insatiable appetite of the ruling elite. Now they cannot tell Nigerians that they used the debt to pay for infrastructure, or power or education, health care, etc. because there is nothing on the ground to show for their years in power. Infrastructural projects remain uncompleted; many road networks across the country are still a in bad state. Medical trips abroad have increased; public education is still in a bad shape, and the power situation has worsened. What then does the country owe so much money within a short time? The only explanation is corruption. Yet, Okono-Iweala keeps defending the indefensible. In the twilight of Jonathan’s era, power generation has dropped to all time low. Civil servants are owed a backlog of salaries. With the current situation, our country seems to be back to ground zero and we may need just to rebuild from the scratch. Not that we have ever left the drawing board but the hopes and aspirations at the inception of Jonathan administration have long been dashed. We are worse off today than this President met us in 2011. He is leaving Nigeria high and dry and Nigerians angry, frustrated and disillusioned. Jonathan is leaving a country in the throes of severe economic and social crises – a country groaning under debilitating local and foreign debts. Now the entire country must pay for his profligacy. Like Ola Rotimi, the famous playwright, wrote in his Greek adaptation of Oedipus Rex, The Gods Are Not to Blame, “We have left our pots unwashed and our food now burns.” As Jonathan quits power, Nigerians say goodbye but they will never forget the tragic lessons of his presidency.